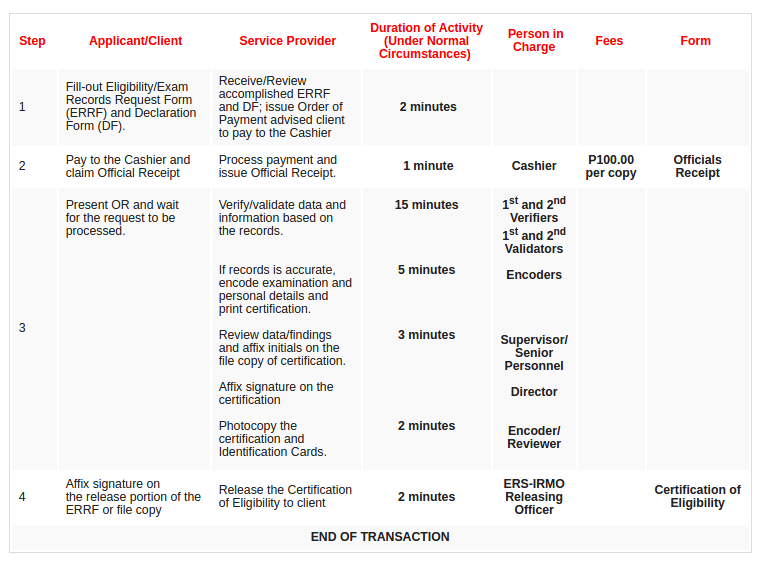 For those who passed the Civil Service Exams last October 23, you may claim your Certificate of Eligibility (COE) which is printed on an official CSC letterhead, free of charge, on or before January 4, 2017, according to the official Civil Service Exam Advisory (download the file on the previous link to read complete details). The letterhead certification shall be issued by the Regional Offices for FREE. Official Certificates on security paper however which are usually preferred by government agencies are NOT FREE of charge. The following identification cards are honored when claiming the COE. Any other ID not included in the list above shall not be accepted. The steps in claiming the COE is enumerated in the following image which can also be downloaded here. Note that the download files also came from the Official CSC website. They were stored in Google, so in case the CSC website is down, then you can download it from the links.